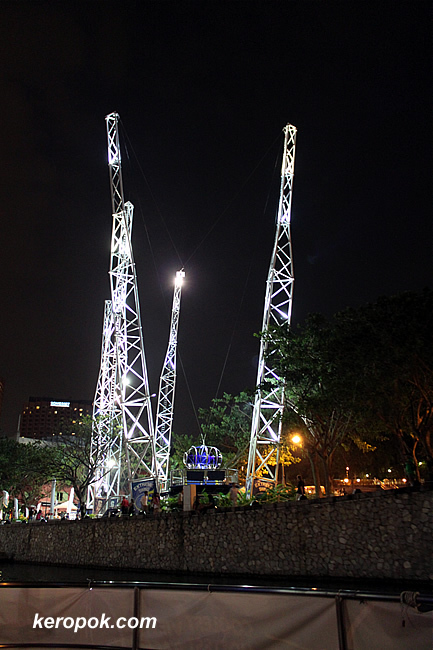 'Boring' Singapore City Photo: 200km per hour swing upwards for you? I was in this touristy boat ride on the Singapore River the other night. That might be the first time I am took a photo of the reverse bungee jump at night, and while on the river. After so many years, I still dare not risk myself being catapult upwards at 200km per hour. Would you try it? God! No thanks! Life is short but this could make it shorter! scary.. but it looks pretty at night! lol! nah, when i reached 50, think i'll be more scared than ever! you gonna try it one day? tomorrow's a good day i reckon!